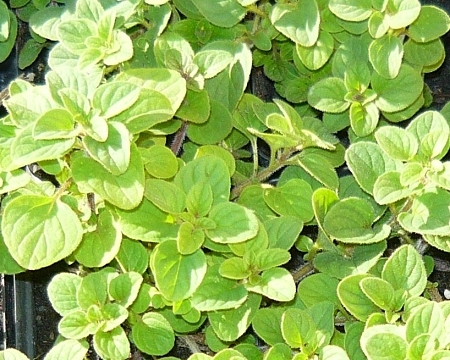 Greek Oregano (origanum vulgare) Most preferred oregano for culinary use. Strong spicy scent and flavor ideal for sauces, meat dishes, soups, casseroles, etc. Trailing creeping habit good for containers and hanging baskets. Perennial zones 5-10. Live plant in 3 inch container.